For more than 15 years, Visietech of Almkerk has advised installers, developers, contractors, and architects on sustainable technical infrastructure for buildings and neighbourhoods. The portfolio includes everything from individual luxury homes to nursing homes to large-scale projects with 300 new houses. Visietech is also investing in the development of new, sustainable, and cost-effective energy systems. Visietech has led the field for years in BIM. The company is fully equipped to design entirely in 3D, with both Revit and AutoCAD. Thanks to the 3D BIM approach, installations can be built more efficiently and less expensively, and unnecessary mistakes and failure costs are avoided. These days, 3D is necessary. Buildings are becoming more complex and it is increasingly important to quickly obtain insight on the designs. 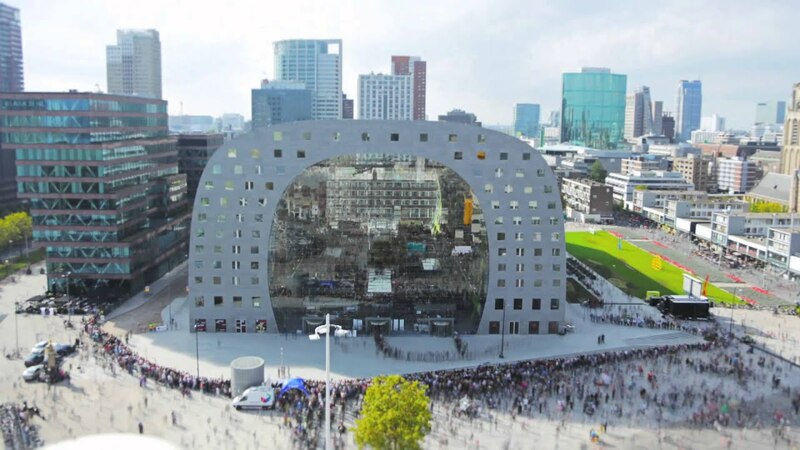 The new Markthal (market hall) in Rotterdam could never have been realized without 3D. Because Visietech already has so many years of experience with 3D designs, the company is a leader in this field. 'These days, 3D is necessary. Buildings are becoming more complex and it is increasingly important to quickly obtain insight on the designs. Currently Rotterdam is hard at work building the new Markthal (market hall). This huge indoor food market with a four-level underground garage can also accommodate 228 apartments, 4600 m² of retail space, and a further 1600 m² for catering purposes. 'We're busy now generating the work drawings for this. The different layers, all of the shafts, and building-services related areas are all being designed in 3D. This is also necessary because this unique and complex structure with its curved shapes could not even be built otherwise. For this project, we had powerful computers built to achieve our objectives. The new homes in the Eindhoven neighbourhood of Blixembosch are another example of BIM. 'These have been completely set up in Revit. In addition, we have ensured, for example, that the estate agent can build and visualize a home in real time, depending on the selected configuration (e.g. with or without expansion). Automatically the Installations are loaded, sockets are moved, and the CV installation is adapted. This BIM approach was completely new for the client concerned, which sometimes made the process difficult. For example, we are more than happy to release our 3D models to clients so that they can select the right information and drawings. In this case, we received comments in the flat 2D drawings, even though this is actually possible directly in the 3D model. You do not learn BIM without trial and error. Exchanging 3D models, by the way, is happening ever more, but it is still too infrequent. We're not afraid to share our 3D information with other construction partners. In practice, however, 95% still work in 2D. For many companies, Revit is a hefty investment. Due to implementing the software, training the draughtsmen, and acquiring the necessary hardware and experience, it takes about six months before you can complete projects with Revit.